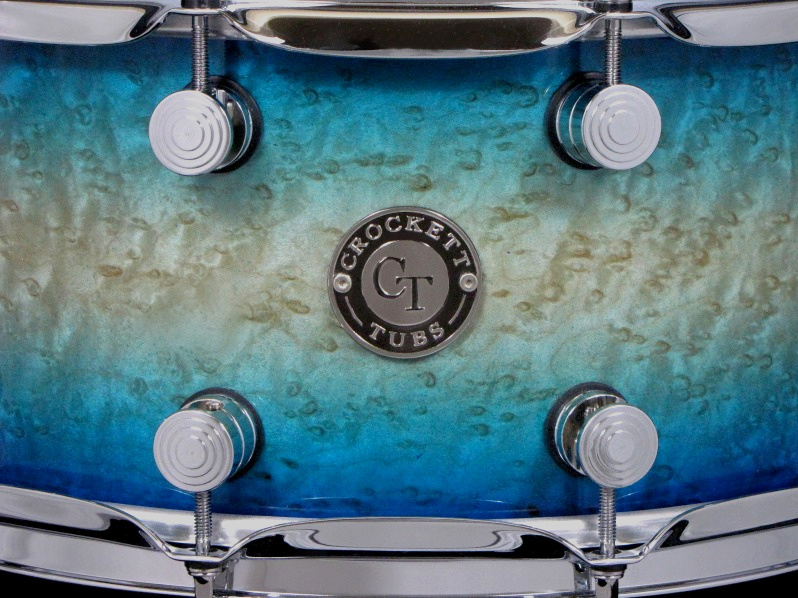 This Players Series 10ply Maple drum was dressed with an exotic birdseye maple veneer that has tons of AAA figure and an insane amount of dense grain. 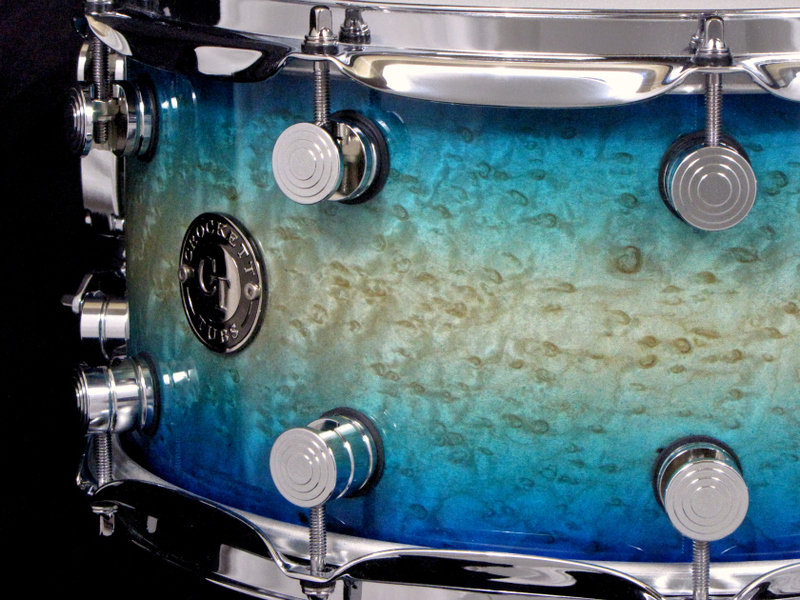 We custom painted a new Kandy transparent color custom blended in house called “Caribbean Blue” to natural burst in high gloss that enhances the exotic birdseye figure and pops the grain. This drum was built for Chris Kennedy of QUICK ACTION DRUM LUGS as a show model to promote his quick release custom made lugs. These unique lugs are made so that you only have to partially loosen the tension rods and then turn the whole hoop and the head is released for quick changing. We are a fully authorized Quick Action Drum Lugs builder for your next drum build when seeking any quick release lug designs they have available. This snare is a 7×14″ maple with all chrome hardware, including UNO quick release lugs, 2.3mm heavy duty triple flanged hoops, a Dunnett R4 swivel throwoff, and Remo drumheads. 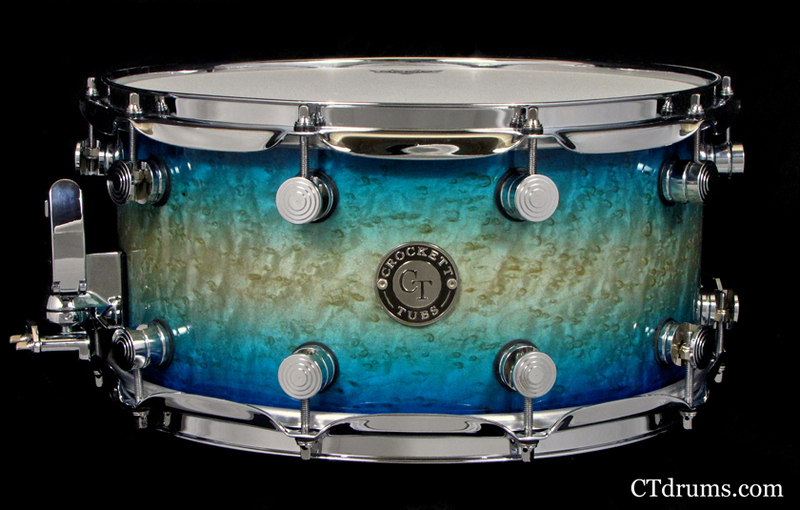 Posted on November 30, 2010, in Players Series, Snares, Unique Builds and tagged action, birdseye, blue, burst, caribbean, chrome, drum, exotic, hardware, lug, maple, natural, paint, players, quick, release, series, snare, trick, UNO, veneer. Bookmark the permalink. Leave a comment.